Renaissance was a 2018 art and music event at the Hamlet, in Braddon, ACT. The Hamlet is a more or less derelict site, and preparing the gallery space for this show was a lengthy process. 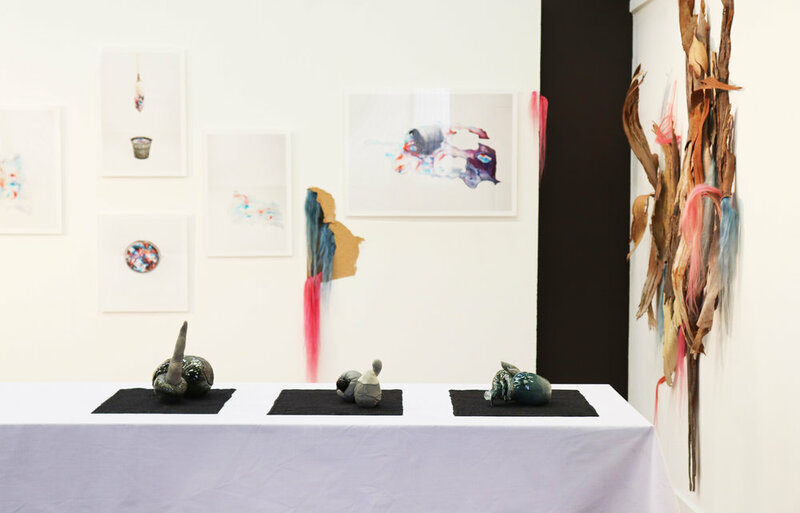 My new works, The Microcosm Series were displayed on a central benchtop plinth. 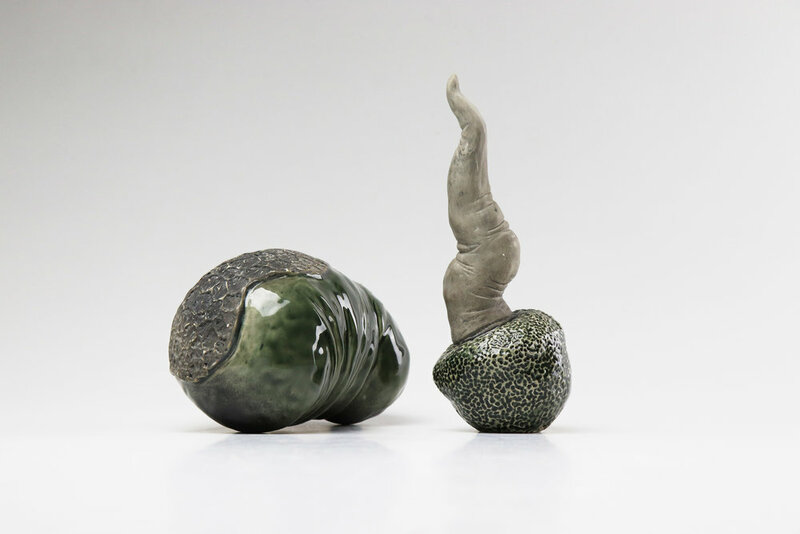 These pieces examine biology on a microscopic scale, taking my abstract figurative work into the environment of the electron microscope. They are displayed on coloured sand to situate them in the monochromatic otherworld of the digital microscope image. The photography and installation work in the background are by Sophie Dumaresq. I have also included studio shots of some parts of Microcosm for a closer look at the pieces.